Happy Fat Tuesday! This day refers to events of the Carnival celebrations, where one eats richer, fatty food before the ritual fasting on Ash Wednesday and the beginning of the Lent season. On Tuesday, Feb. 9 enjoy a playful beverage selection with Big Easy commemorative fare and music. 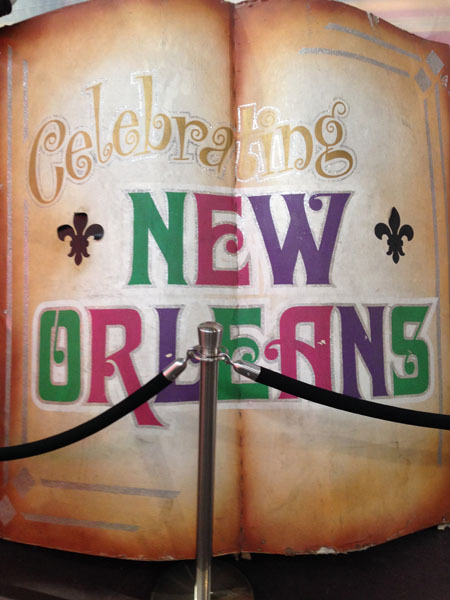 The whimsical bayou setting is ideals for Fat Tuesday revelers. Receive a (FREE) complimentary Mandarin Napoleon French 75 from 5 to 6 p.m. upon arrival. During Happy Hour enjoy new cocktails for $8 with and dine on $11 crawfish boil until 8 p.m. Listen to the Mudbug Brass Band, while watching burlesque performances throughout the evening. NOLA’s Abita Brewery will host an all-night tap takeover. So enjoy the festivities and take a Lyft or Uber home. The evening begins at 5 p.m. and lasts until 2 a.m. 1233 Vine St. (323)467-2800. Terrine with New Orleans-inspired specials from Chef Kris Morningstar! Enjoy fare with a Creole soul that includes Crawfish Gumbo with andouille sausage; Shrimp and Grits; Red Beans and Rice with Tasso ham; Rabbit and Rice Boudin with creole mustard; Crab Étouffée; and everyone’s favorite NOLA dish, Beignets with chicory-coffee pudding. A limited regular menu will be offered alongside Kris’ Fat Tuesday specials. Head Bartender Ryan Wainwright will complement the evening with his own spin on the infamous Big Easy cocktails like Sazeracs, and Ramos Gin Fizzes. Gather up your “krewe” and wear purple, green and gold today to celebrate a Mardi Gras festival fit for a Rex (King of the Carnival). This New Orleans bar brings soul to the heart of Downtown with a traditional Southern Louisiana soiree. There are food and drink specials and live music! Start with the 3-2-1 Special, featuring $3 Hurricane Shots, $2 Abita Beers and $1 Wings all day long. Chef Travis will be serving up down-home Southern cooking from Cajun plates to spicy skillets. Snack on crisp-golden Hush Puppies made of deep-fried cornmeal and roasted corn bites served with a sweet honey dipping sauce or savor a saucy cast iron skillet of spiced Seafood Gumbo stewed with shrimp, crawfish, Andouille sausage and rice. Bar Manager Ally DeVellis offers sips of Bourbon-Street-style cocktails like the elegant French Quarter 75 crafted with vodka, St. Germaine, lavender syrup, lemon juice and Champagne or savor the sassy and robust Sazerac with JP Wiser’s rye, Pernod absinthe and bitters. Live Music keeps the jazzy jubilee going with Prohibition Era music from Big Bill’s Medicine Show and Dixie band headliner, Critical Brass. New Orleans soul comes to life at mid-city hotspot Spare Tire Kitchen & Tavern with a special Fat Tuesday Bourbon Street Festival. Fill up on Southern soul-food specials and classic French Quarter cocktails while taking in Live Music from a brassy jazz Dixie Band. Carnival-clad Stilt Walkers and charming (and charmed) Magicians will entertain throughout the evening. Executive Chef Isaias Peña’s special Mardi Gras Menu starts a 4 pm to closing with down-home Louisiana style cooking, including shared dishes and snacks. There are hot Cat Fish Po’boy Sliders for $12, spiced Cajun Crawfish for $10 per pound, traditional Jambalaya and Gumbo for $13 each and tasty Gator Meatballs for $14. 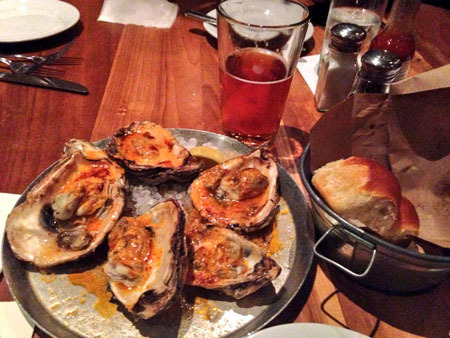 Nibble on Southern Bayou Snacks like Collard Greens for $5, and briny Oysters on the half shell at $3 a piece. Be sure to consume some Fried Okra and Fried Pickles for just $6 each, and some Red Peas & Rice for $7. Finish with a classic French Quarter sweet treat; warm, doughy Beignets dusted powdered sugar for $6. Bar Manager Melissa Taimanglo is pouring out Happy Hour Specials from 4 pm to 7 pm, featuring $5 Select Beer, Wine & Well Drinks. Get in the whiskey spirit, as Spare Tire Kitchen & Tavern offers an extensive list of over 120 different kinds of this rich caramel-colored Mardi Gras must-have sipper, including Breckenridge Bourbon from Colorado and Templeton Small Batch Rye, along with single malt scotches like the beloved 18 year old Laphroiag, the coveted Bruichladdich and The Laddie Ten Year Old to name a few. The Mardi Gras party will have colorful beads, party favors and fun costume accessories on hand. They will also be showing the black-and-white classic film, A Streetcar Named Desire in the background. Food – They will have a crawfish boil going on $15 per pound and it comes with all the fixins (roasted potatoes and corn). For $30 per person they could get bottomless crawfish. BAMB! Drink specials include: $5 Hurricanes, Hand Grenades, & Cyclones and Abita Purple Haze. We’ll have beads, masks as well as music by DJ Mojoe! a selection of traditional cajun dishes w/ a twist include Po’Boys, Gumbo, Crawfish Mac n’ Cheese and Pate a Choux Beignets!